Local startup UrBike, as well as bike-share companies Spin and LimeBike, are clamoring to set up shop, but the city needs to shape their operations in a way that enhances the transportation system. Three private bike-share companies are knocking on Denver’s door, but the city isn’t quite ready to let them in — not before there’s a clearer understanding of where the bikes will be stored, and how private bike-share will help the city achieve its broader goals. In contrast to B-cycle, which supplies bikes via fixed stations where users begin and end their trips, these new services are “dockless.” Each bike has GPS and a lock controlled by a smart phone app, which lets riders use bikes without being tethered to a station. It’s more flexible than station-based bike-share, but presents other challenges. UrBike, a Denver startup, has asked the city for permission to operate. So have Spin and LimeBike, two companies that are also active in Seattle. First, Denver Public Works wants to set some ground rules. UrBike wants to deploy a system of 5,000 bikes throughout the Denver area. That could significantly expand access to bike-share in Denver. B-Cycle has 737 bikes, and doesn’t reach much of the city. No stations exist north of River North, east of Colorado Boulevard or south of Wash Park, and the west side is lacking. “I think the most important thing for us is, as the fundamentals of bike-sharing changes with technology, a rising tide floats all boats,” said B-cycle Executive Director Nick Bohnenkamp. As the “incumbent,” Bohnenkamp said he wants to see any new companies “build on the goodwill we’ve created.” B-cycle will upgrade its bike tech eventually, too, he said. American cities are still figuring out how the new generation of bike-share companies should fit in to the transportation mix. There are questions about the quality of the equipment, how well the bikes will be maintained, and whether the companies will complement or hinder existing bike-share services. UrBike is looking at operating on college campuses, said Mike Pletch, the company’s Colorado general manager, but wants to provide a service for the general public as well. He has met with B-Cycle and said he wants to work with the city’s established bike-share service in some capacity. B-Cycle is an independent non-profit, not a city program, but Denver gave the company seed funding and continues to contribute $250,000 a year. Director of Transportation and Mobility Chrissy Fanganello sits on the board. The city probably won’t replicate that type of relationship with the new companies, but it’s looking to leverage their interest in a way that advances public goals. For example, the city could require the companies to maintain a certain amount of bikes in low-income neighborhoods, Patton said. Fanganello sent a letter to the new bike-share companies asking them to slow their roll while the city explores a regulatory framework. This story was updated to include Bohnenkamp’s comments. Surprised me that VC’s are interested; they’re always looking for the next disruptive technology or business though. First thought was the convenience of DUS Neighborhood residents (for example) using these to shop at Whole Foods or King Soopers. 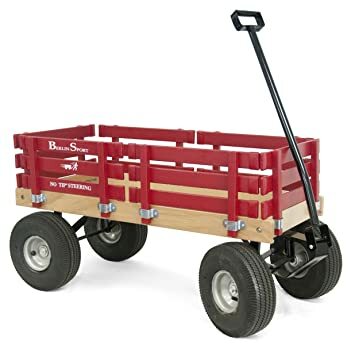 Next thought was maybe “dockless wagons” would be even better. I see where Amazon has them for $140 if bought individually. Anybody want to start a new business venture? VC’s are lurking. Storage? Why would you put them away at all? We need more bikes available at 2am, not fewer. You can already rent electric bikes in Denver, from companies which are operating safely without regulatory interference. Just because these bikes would be more prolific is no reason to discriminate. If somebody parks it in a bad place the bike can be moved & the provider can send them a ticket. B-Cycle isn’t *terrible*, but it’s not great, & it mostly serves upscale high-rent neighborhoods. There are zero B-Cycle racks in my area & I’m only a few minutes ride from downtown; That’s ridiculous. Regulatory framework indeed… Stop throwing anchors & let them provide service if they want to. Please welcome *all* rental bike services; picking & choosing who gets to operate here will limit choice & reduce ridership.